Another trip to the Runcu Stone location in Dambovita County, under rather dark skies. 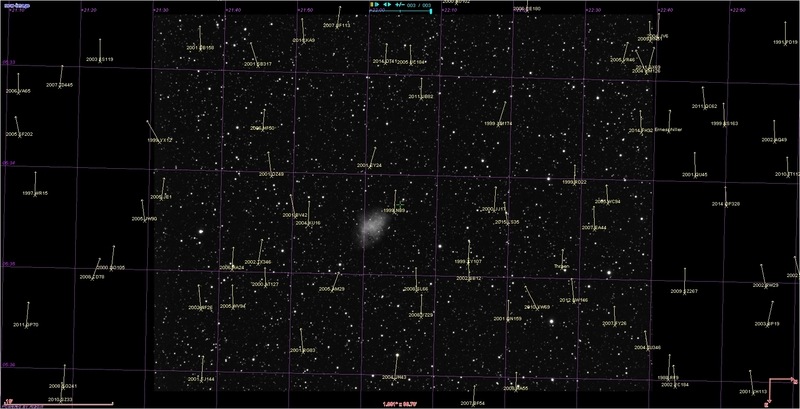 This time I had a mag +6 sky at my disposal, with a few meteors and a lovely horizon-to-horizon Milky Way. 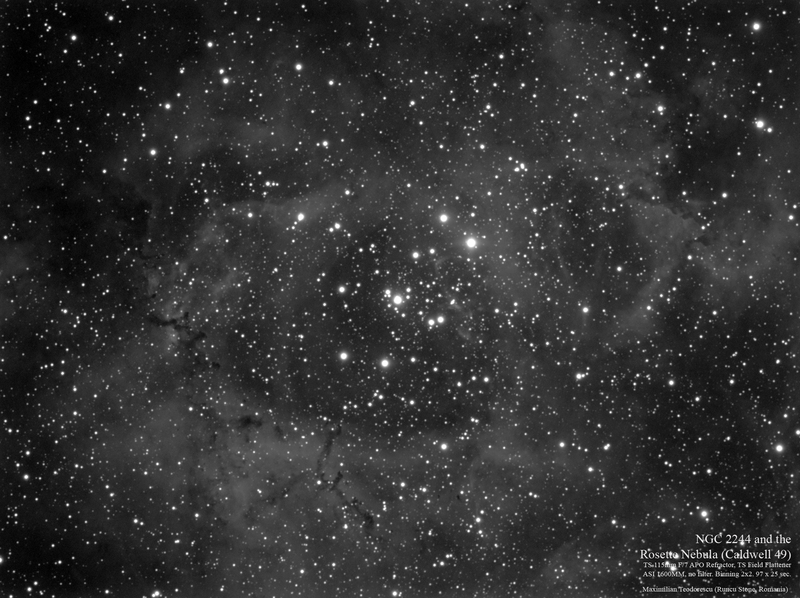 There were many subjects to choose from, but my list resumed to three: the Rosette nebula, the Horsehead nebula and comet Johnson. 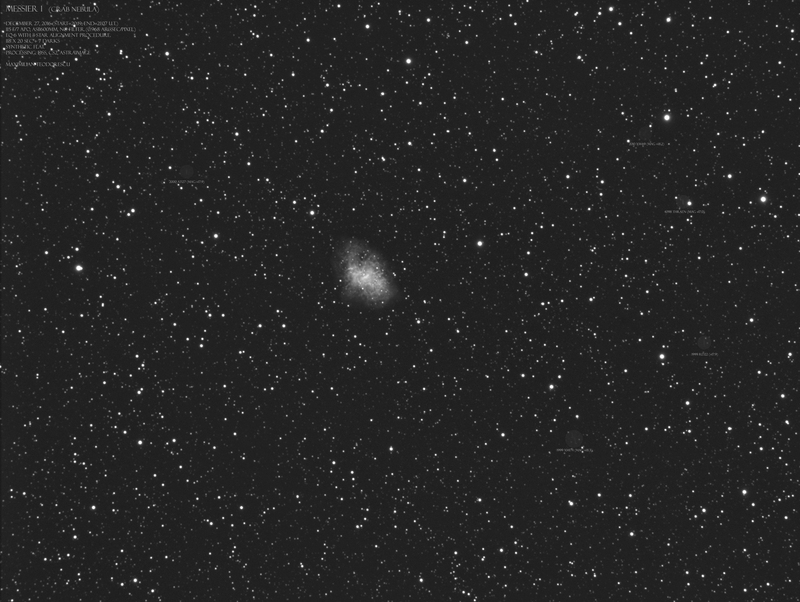 Another session with my brother-in-law and the ASI1600MM, and this time my first “nicer” shot: the M1 “Crab Nebula” in Taurus. The equipment: 115mm F/7 APO Refractor with field-flattener and ASI1600MM with no filter. 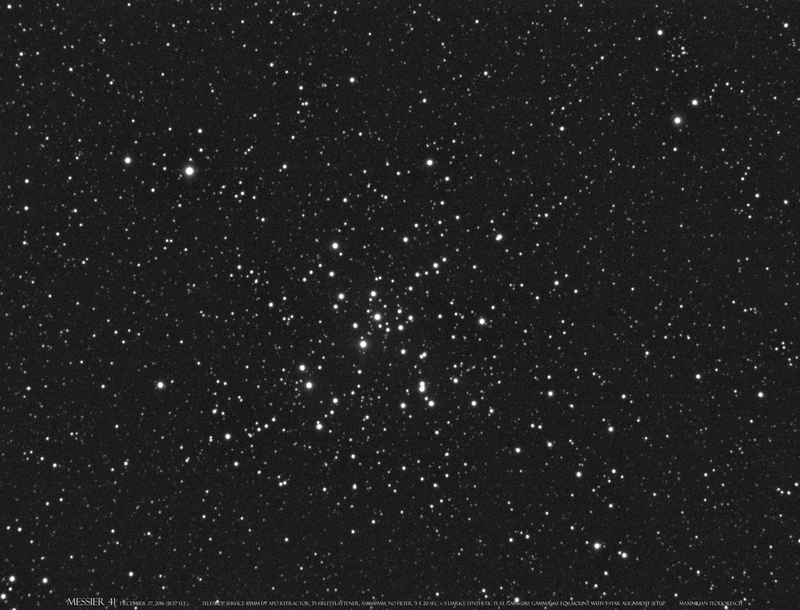 The EQ6 mount was self guiding after an initial 3-star alignment; this allowed for pinpoint stars at 20 seconds of exposure, but 25 to 30 seconds shots were also possible. 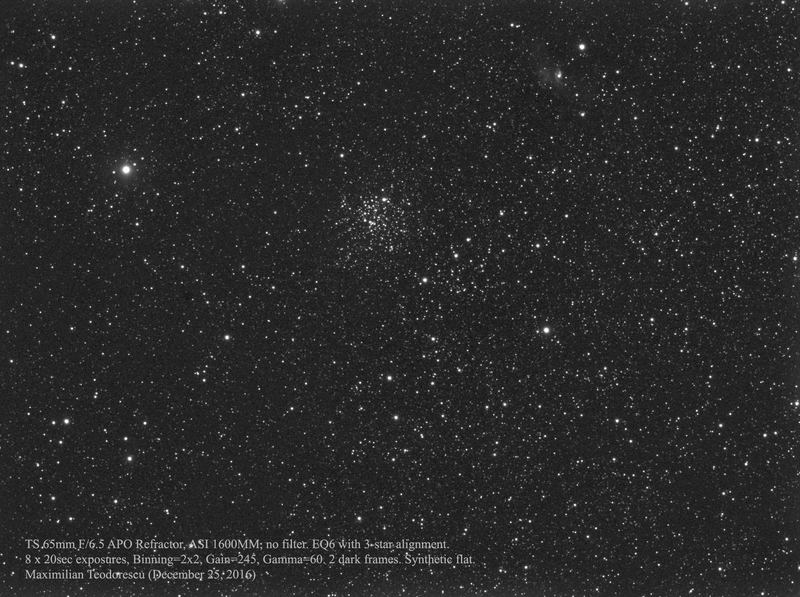 The conditions were not the best at all: suburban sky, mag +5.0 visual, some wind, and -6 Celsius. 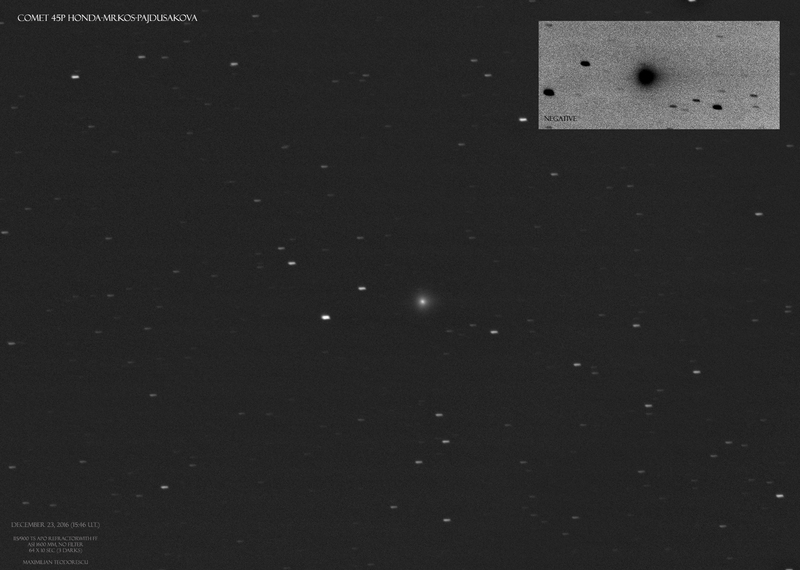 A new session with this nice comet at sunset. Very low above the horizon, but this time presenting a nice tail. 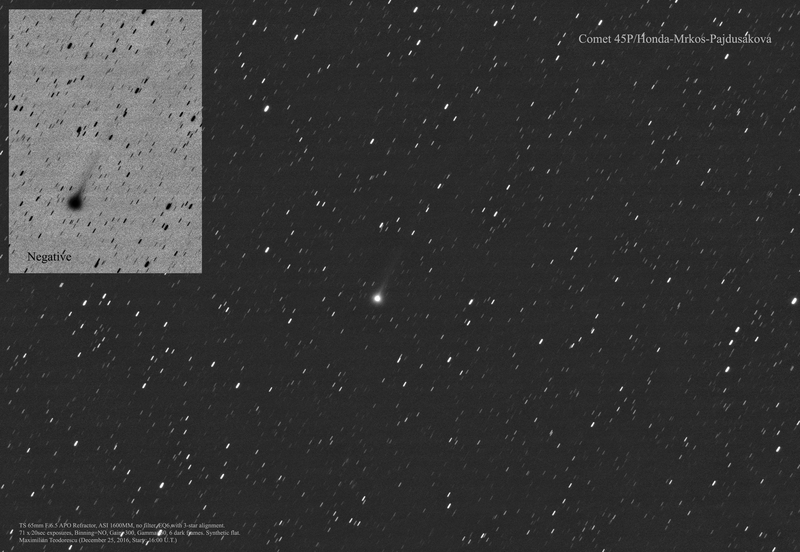 Again this comet was used also as a test subject: the ASI1600MM coupled this time with the small 65 mm APO Refractor. 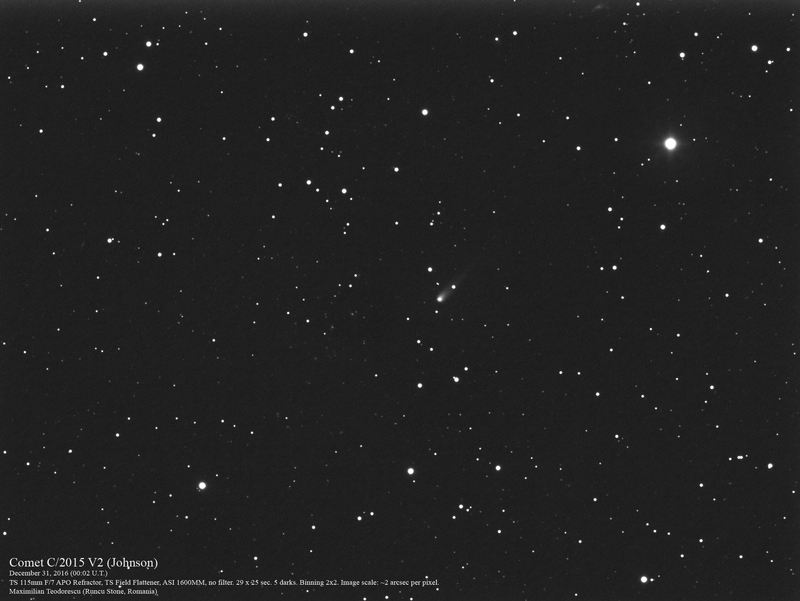 It turns out that this combination is actually great for wide-field deep-sky imaging. And since my brother in-law was with me and we were both wanting to see some other objects, I’ve decided to get some very-short exposures of a few other targets. 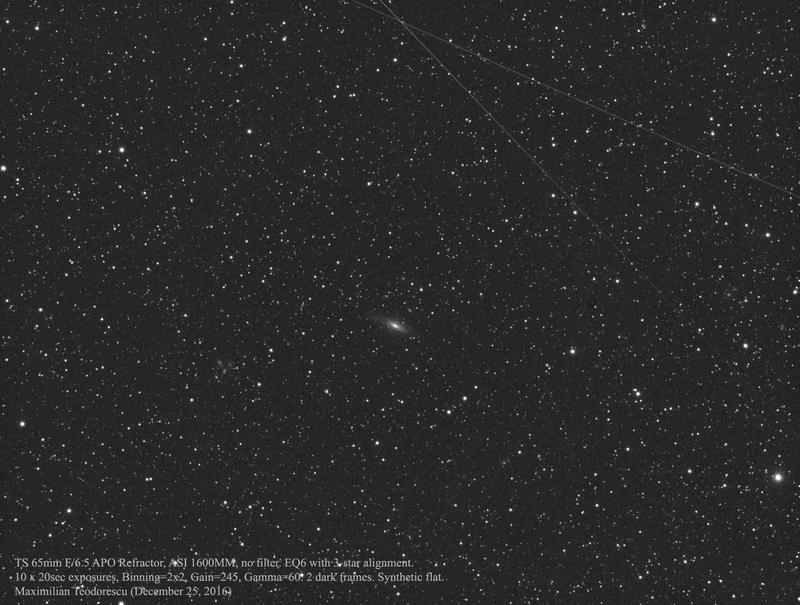 For example, with the limiting visual magnitude of +5.4 at zenith, we could see rather well the Andromeda galaxy; so the conditions were quite good for my suburban location. One of the targets was galaxy NGC 7331 together with the nearby small galaxy cluster “Stephan’s Quintet” and many other small galaxies scattered in the field. Some galaxies are mag. +15 !!! That is something, considering that only 10 frames were stacked, each a 20 seconds exposure. 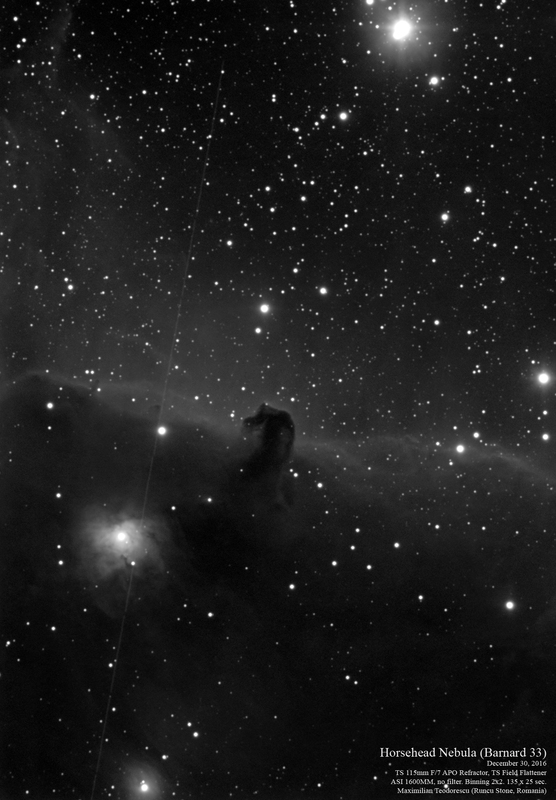 3 minutes and 20 seconds of total exposure for mag +15 on suburban skies with a 65 mm refractor ! Of course, for a good image, I would need something like 200 or 500 frames; but for now, I believe the results are very promising. 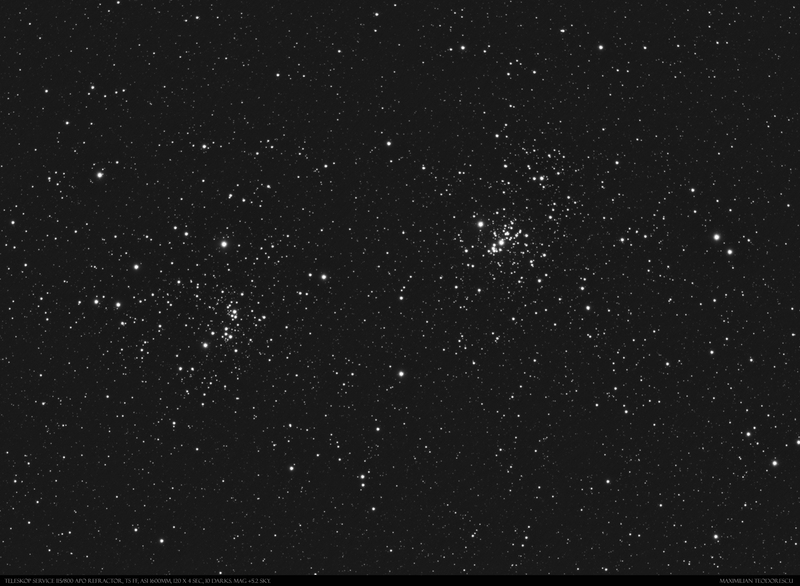 One other subject: M 52 open star cluster together with the Bubble Nebula. Only about 3 minutes was the total exposure time. Santa was good with me this year again, and gave me a new astro-camera: the ASI 1600MM. 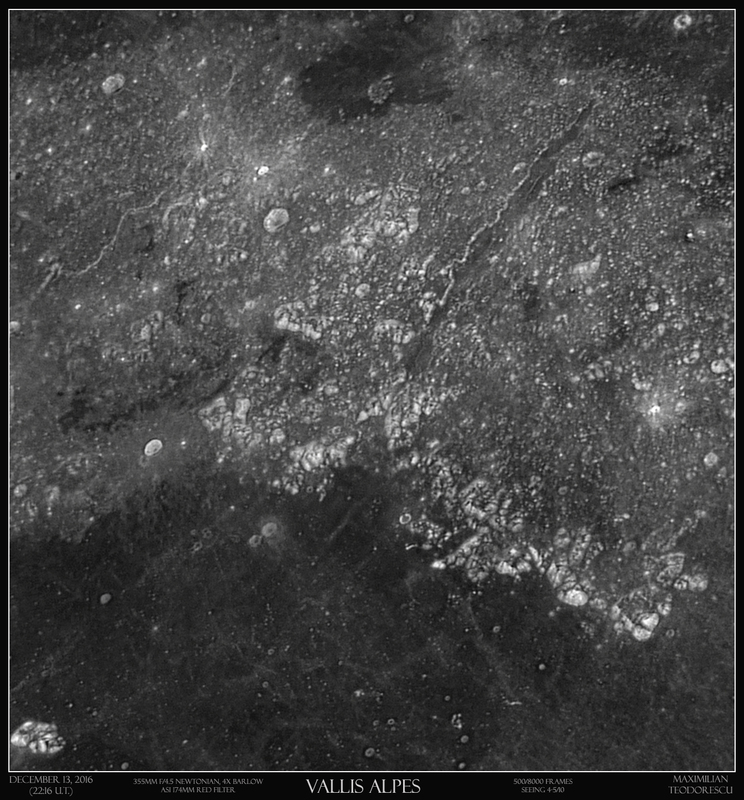 However, the First Light shots were acquired in poor conditions, with lots of fog and low temperatures (-5 Celsius). 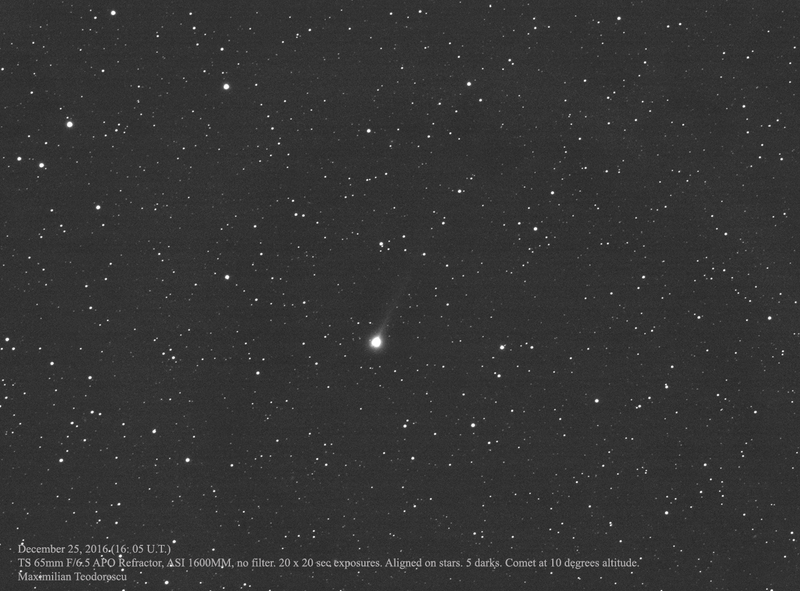 The main subject was comet 45P Honda-Mrkos-Pajdusakova, which for now sits very low above the South-Western horizon. An elongated coma and a ghost tail may be glimpsed in the following shot. 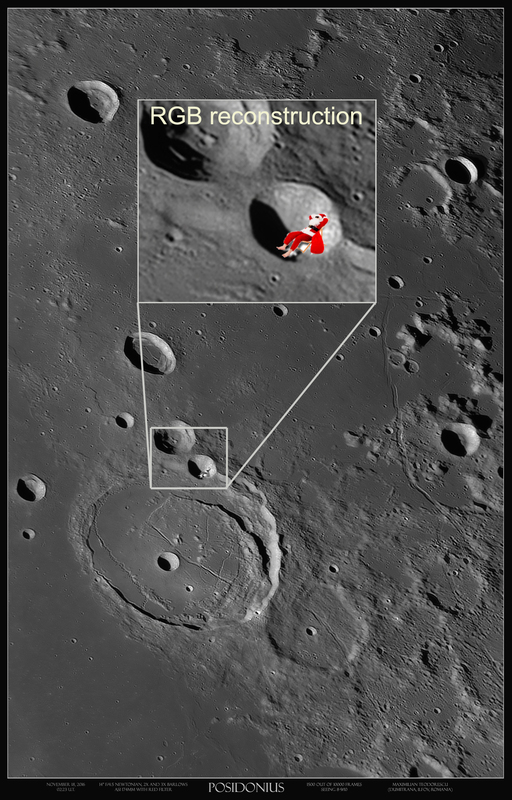 After years of imaging the Moon, with no strange phenomena observed (no UFOs, no strange alien structures and no giant messages found on the lunar surface), I’ve finally found something interesting in one of my recent shots: the true location of Santa Claus!!! It is not always that I take shots during Full Moon. Especially High Resolution images. This happens because the details are usually washed out by the intense light and since the illumination doesn’t allow for any shadows, no small details are easily detectable. However, since I was planning for some limb images, I’ve decided to take a few shots of the in-disc details as well. 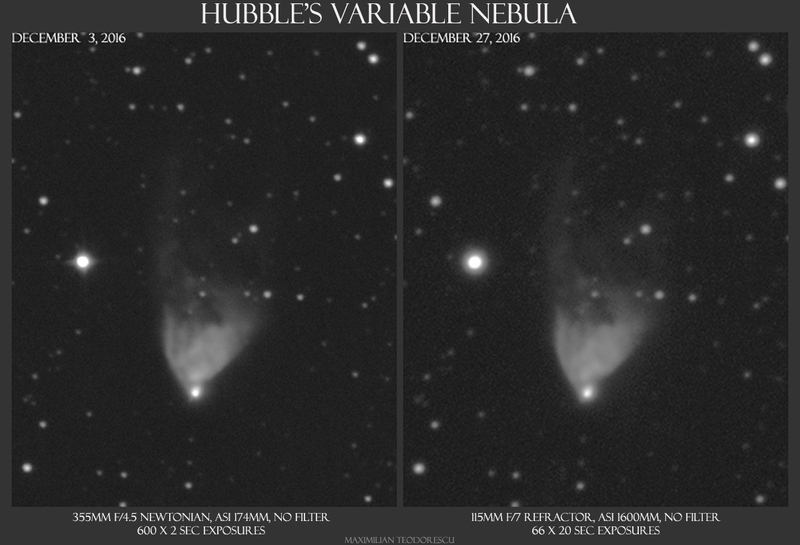 The seeing was poor, but some small details are detectable. 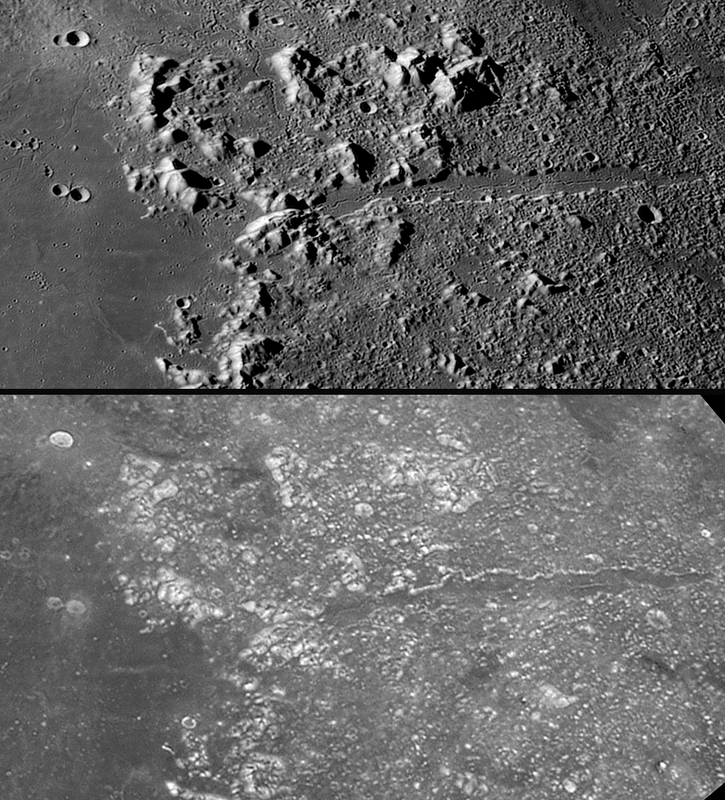 The following shots presents Vallis Alpes and the nearby mountains; note that the small rille inside Vallis Alpes is visible in some areas, due to white material deposited onto its walls. 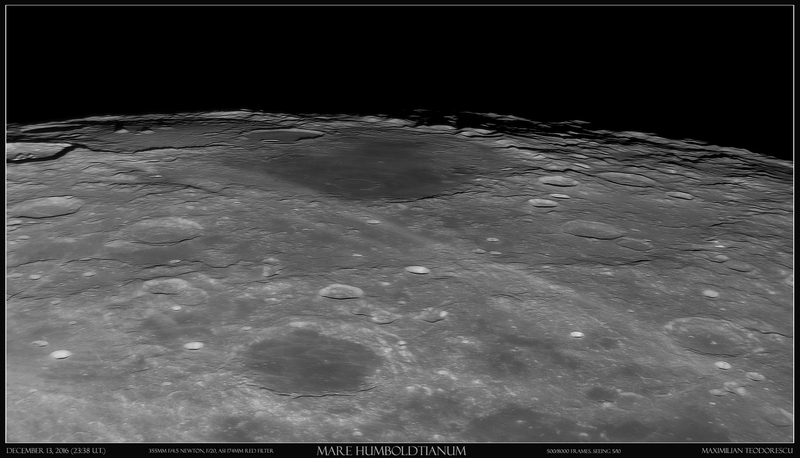 Good illumination and favorable libration made imaging Mare Humboldtianum rather easy on an almost Full Moon night and -8 Celsius. Of course the seeing did not approve…again.